Yet Israel must prepare for a large-scale war as well. A military confrontation with Hezbollah in Lebanon is a high-probability scenario. Destruction of the 120,000 missiles arrayed against Israel will require a large-scale ground invasion of southern Lebanon. And Syria, licking its wounds after years of civil war, is about to build a new army. Egypt, too, has a large and advanced conventional army, and it has built a considerable logistical infrastructure in Sinai. Egypt might change its policy toward Israel if the Muslim Brotherhood returns to power, turning the Egyptian military into a serious challenge. At the same time, Israel must maintain and improve its ability to project power far and wide, especially if the time comes to deal with the Iranian nuclear threat. Therefore, the decision which war to prepare for is largely an informed historical gamble. Let us hope that Kochavi makes the right gamble. Identifying the nature of the next war directly affects the building of the army's order of battle. In recent years, the ground forces have been neglected. Tank formations were shut down and reserve units in the ground forces did not train sufficiently. The debates held lately about the IDF's readiness were mainly focused on the state of the ground forces, and it would be appropriate to invest in improving this array. The Gaza, and particularly the Lebanese scenarios, envision an invasion employing significant ground forces, beyond the use of the air force. And even the less likely scenario of a large-scale conventional war requires the operation of a large and effective land force. 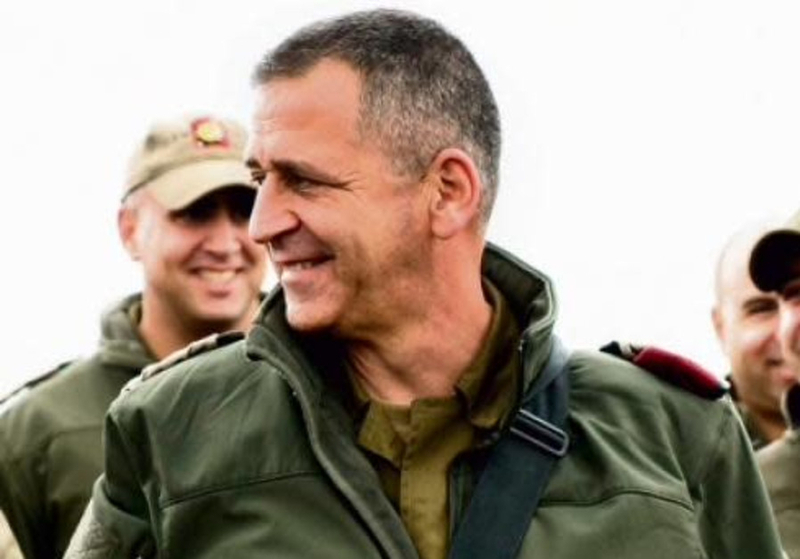 Criticism has already been voiced in the IDF about the emphasis placed on air attacks based on precise intelligence, at the expense of a maneuvering land force. A small country like Israel, and even bigger and richer countries, cannot build an army for any and all likely future scenarios. Therefore, it builds a mix of capabilities that can best deal with the expected next war. The mix of the order of battle cannot be changed quickly, since procurement and training with new platforms need time. Therefore, Israel must strive to have large security margins. There is no textbook solution for the right mix. Here, too, the experience, the realistic assessment of the situation, and the personal intuition of the chief of staff are the key for building an army capable of attaining victory in the next military encounter. The responsibility for operating the army against violent enemies lies on the chief of staff's shoulders. The use of force is designed for political purposes, and is an art. The timing, the scope of the required force, its components, and the way it is to be used, are like orchestra instruments requiring maximum coordination. In Israel, the chief of staff is an active member of the security cabinet, which means that his opinion is extremely important. The rules of the game in the security cabinet are different from those in the military organization in which Kochavi has served for several decades. In his previous military assignments he has already been exposed to the political game, and yet we need to wish him good luck in this arena. Clear understandings between the political and military echelons are essential for success in the employment of military force. Finally, let us recall that Napoleon was always looking for "generals with luck." Let us hope that Aviv Kochavi is lucky. His success is the success of the country. The writer is president of the Jerusalem Institute for Strategy and Security (jiss.org.il) and a fellow at the Middle East Forum.